The Rose trilogy consists of Rosebloom, A Burnished Rose and Rose From the Ashes. Book I takes Rose, the main character, from a farm in southwest Wisconsin to a Mississippi riverboat when she runs away from home. The boat takes her to St. Louis and eventually New Orleans. Book II has Rose going to nursing school then off the war in the European theater. A percentage of the profits of each book sold will be donated to help in the education of disadvantaged children, because Christine believes that knowledge is a powerful tool. In Book III, Rose comes home and has to deal with what we call today PTSD, a pregnancy and a society that didn’t want to hear about what she as a women did during the war. My newest book: Living in the House of Drugs, illustrates the life of a recovering drug and alcohol addict from Chicago. All books can be found on my website: ckbookspublishing.com, Amazon, Barnes and Noble and Smashwords. My next project is an historical fiction story about on the lives of the creators and the creation of Nancy Drew. It should be fun! I have not yet read the first instalment of the trilogy. I was approached by Christine for a review and she decided that I read the second in the series. As she promised, it is not necessary to know the first part to enjoy the second. 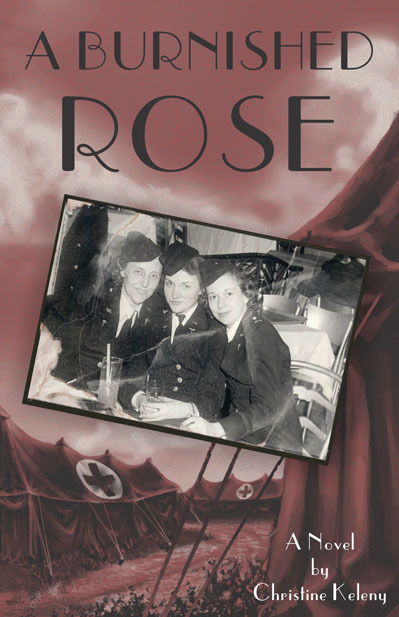 “A Burnished Rose” by Christine Keleny is a marvellous historical novel about Rose Krantz, a young woman from Wisconsin who decides to forego a married life in order to join the American effort in World War 2 as a nurse. The book is incredibly well researched and detailed, particularly in the area of army life abroad. Whether it describes the drafting procedures, the journey across the Atlantic or the camp life in the desert, the author clearly has taken her time to get the background completely authentic which allows us to trust her and ease into the story. There are moments where the detail can get in the way of the story telling, at least for the impatient reader, but this only shows how good the story is. The plot itself is solidly set up, the various characters are given a lot of time to establish themselves and come alive in our imagination. Rose joins the army in order to see the world – not just out of patriotism – and so she enters her new life with some naïve notion about what lies ahead of her. What she sees in the various theatres of war and how she perceives life in the army then becomes all the more real and shocking to us. The story begins rather oddly with Rose’s return home to Wisconsin to attend to her sick mother. Not having read the previous book in the series I was a little confused as to where the story was going as explanations about the characters and Rose’s past seemed confusing. I am very much an impatient and plot driven reader and was eager to get to the more dramatic parts of this war time story and once Keleny got to it I was more than satisfied with the result and the time spent establishing the scene paid more than off. The descriptions of the war in North Africa and Italy were amazing and utterly captivating, the group of soldiers and nurses were well-chosen to illustrate the variety of experiences different people had in these trying circumstances. As a fellow writer of historical fiction I have to applaud the author for her great skill and particularly for her vast knowledge. It has been a great pleasure to read a book about the ‘European’ War from an American perspective, with such an attention to detail and such thoughtfulness and through the eyes of such a wonderful character. I am looking forward to the next book in the series to find out what our heroine experiences next. Strangely enough, I was never a big reader, at least until I got out of college and had the time to do it. So it wasn’t reading that brought me to writing. I started writing in college, I think as a diversion. My college study was in Physical Therapy, so a far cry from writing. I had very small nephews at the time and when I would read them stories I noticed some of them were very bad. I decided I could do better than that, so I did. I wrote mostly children’s stories. I have a few I would like to publish, but I need to illustrate them, and that costs more money than I have right now. I love history. If I hadn’t been a Physical Therapist, I would have majored in history. Luckily I didn’t because being a history major doesn’t pay very well. Anyway, it has paid off when writing my historical fiction novels. I love the research almost as much as the writing. This book is a departure for me. I normally write historic fiction and this one is a memoir of a recovering addict that I know. He wanted me to write his story, so I did. This took me over 5 years because the gentleman whose book this is was in and out of jail and prison as we wrote the book. I also had other book projects I was working on and since he cannot pay me to do any of the work it takes to write this book, I did it when I had down time. In a memoir there wasn’t much research to it. For my historic fiction, I visit a lot of libraries to get books on my subject matter, historical societies, go to locations that are part of the story, interview people if I can. It’s quite fun. I feel very comfortable about it. I try to use sources that are reliable, though strangely enough, sometimes people are the least reliable for facts. Their memories don’t always jibe with what the history books or newspapers say. That’s really hard to keep track of. I do a lot of little changes all along the writing process. I will even be formatting the book and find I don’t like how a word or sentence sounds so I’ll change it. Bigger changes (taking out a whole section, or adding something that is missing) usually happens after I have had a few people read it. I have hired editors, three to date, and I might be looking for a fourth. I wasn’t happy with the last edit I got. She did a great job on book II, so when she did book III, I just assumed she did the same good work, but she hadn’t, and I had 500 books printed that I can’t give out because of all the mistakes. It was a good learning experience for me, but now I need to find a new editor, or have a candid talk with my current one. Ah, the trials of self-publishing! Present day authors, I really like Chris Bohjalian. His frequently writes historic fiction and does a wonderful job of it. I also like the Paul Coelho, Barbara Kingsolver, and Jody Piccoult. I read Dostoevshy’s Crime and Punishment not that long ago and was surprised how much I liked it. I have to read more of his stuff. I also enjoy Jane Austin and Charles Dickens along with a good Agatha Christie to name a few. I really can’t answer this question because I’m very bad with names of actors/actresses. I always have to ask my daughter who so and so is when we’re watching a movie. 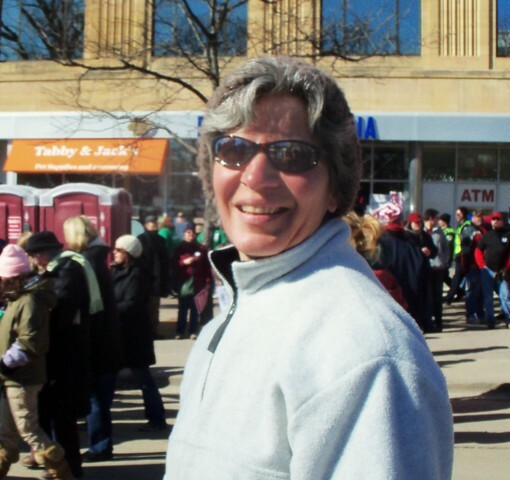 Thanks Christoph, I had fun writing it, especially talking with the women WWII vets who I now consider my friends. They did a lot for your country and got very little recognition for it.